Good childcare can be hard to come by, but one organization on Long Island has been aiding families in attaining just that for a generation. Thirty years ago, Janet Walerstein was the director of a small childcare center that served working families. “I have always believed that every child deserves high-quality, nurturing and safe childcare,” Walerstein says. “But it wasn’t until I was in close contact with working parents every day that I began to appreciate that reliable and affordable care is the linchpin to building a better life.” After all, without this care, working parents have great difficulty supporting their families, and businesses are not most productive. Walerstein realized that parents, communities and businesses needed a comprehensive solution. “It was clear to me that if parents, providers and employers could find a better way to work together and build an interconnected infrastructure, everyone would benefit.” At that time, no such infrastructure existed. That’s when Walerstein decided to change things to help working families make ends meet. 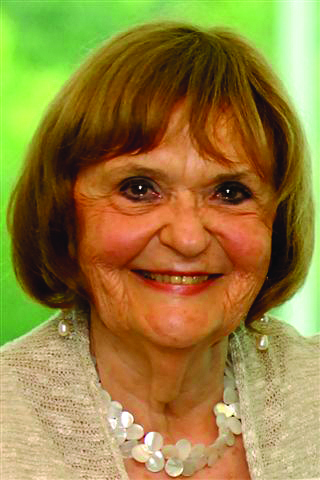 Operating out of a small attic space of the Bayshore childcare center where she worked, Walerstein endeavored to “take a leadership role in advocating for and increasing access for parents to high-quality childcare in Suffolk County.” She channeled her personal experiences, educational background, insight and passion to form a coalition of providers, policy makers and parents striving to advance a comprehensive childcare agenda. By 1985, this loosely formed coalition evolved into the Child Care Council of Suffolk, Inc. Walerstein was named the council’s first executive director, a position she still holds today. Resource and referral services that help parents find appropriate care for their children, including those with special needs. Community education that focuses on developing strategies for positive change through outreach to both the public and private sector. The Parent Leadership Initiative, an innovative program designed to prepare parents from diverse ethnic and economic backgrounds to take on leadership roles in their communities. Educational and technical assistance for childcare providers like the development or expansion of childcare centers and family childcare homes, as well as training for educators. A child and adult care food program, through which the council sponsors the reimbursement of food expenses for family childcare providers. Classes are also provided in nutritional meal preparation and meal planning. Registration and inspection services to ensure that family childcare homes and school-age childcare programs are compliant with state regulations. Services for employers, including childcare resources and referrals, dependent care assistance plans and seminars. Advocacy efforts that help Child Care Council of Suffolk to raise community awareness of pertinent childcare issues like those regarding regulations and funding sources. Learn more about the Child Care Council of Suffolk by calling (631)905-0184 or logging onto www.childcaresuffolk.org. Saskia Monteiro Thomson is a marketing professional and freelance writer who specializes in creative and writing services for nonprofit organizations, publications and private corporations. She can be reached at (516)319-6625 or saskia.m.thomson@gmail.com. Pictured is Janet Walerstein, executive director of the Child Care Council of Suffolk.